Win both the “Train” and “Boat” games for an extra €5, a Challenge Badge, and entry to the €750Thursday Tournaments! Author Jules Verne took us on a Journey to the Centre of the Earth, brought us 20,000 Leagues Under the Sea and took us on a race Around the World in 80 Days. His imagination introduced us to many futuristic technologies long before they became reality, such as submarines and space shuttles, and brought them to life in his popular stories. Since this month marks Jules Verne’s 184th birthday we’re naming our latest Challenge in his honour. Inspired by his famous story, our new Train and Boat games will let you travel Around the World in considerably less than 80 Days! You can book your trip in these games twice an hour from 6am to 1am in Lucky Streak and Money Tree. Win any part of both games and you’ll complete this Challenge to win €5 Bonus, the Jules Verne Badge, and entry to the €750 Tournaments playing Thursday nights at 9pm in Madhouse. 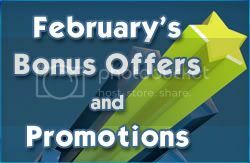 Promotion period: 06:00am GMT 17 February through 01:00am GMT 2 March. When players complete a Challenge by winning both Challenge games they earn €5 Bonus, a Challenge badge for their badge board, and entry to the weekly tournament held Thursdays in Madhouse at 9pm. Every subsequent time the Challenge is completed again, the player earns another €5 Bonus. Travel Around the World in 8 Days – €800 in total Cash prizes to 8 lucky Travellers! 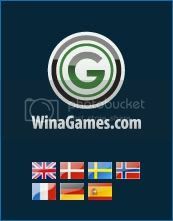 Travel Around the World in 8 Days just by winning Challenge Games! €800 in total Cash prizes to 8 lucky Travellers! Inspired by Jules Verne’s famous story, we’re offering players a chance at €800 in cash prizes by travelling Around the World in 8 Days! Until 24 February you can travel between 8 cities by Train or Boat by winning any part of a Jules Verne Challenge game to complete your world voyage. It’s a long trip, so you’ll need four Train wins and four Boat wins to make it Around the World one time. If you manage to cross the globe at least once, you’ll become a First Class Traveller and earn one entry to the draw for one of four prizes of €200 cash. You’ll also earn one additional entry each time you make the complete trip again! Even if you can’t make the full journey you’ll have a chance to win one of four Passenger Class €50 cash prizes if you complete the Jules Verne Challenge at least once by winning one Train and one Boat game. Keep track your progress on the Around the World Map promotions page, via the Promotions link under the “?” icon on your bingo screen. You’ll see which cities you’ve travelled between as well as which games you need to win to complete your trip. The Train and Boat Challenge games play twice every hour in Money Tree and Lucky Streak between 6am and 1am GMT. Players will still earn €5 Bonus each time they complete the Challenge by winning any part of both the Train and Boat games. Promotion period: 06:00am GMT 17 February through 01:00am GMT 25 February. To Qualify for the First Class Traveller draw, players must complete the Jules Verne Challenge four times by winning a minimum of four “Train” and four “Boat” games within the promotion period. Players will earn one entry to the First Class Traveller draw for every four Challenge completions. (One trip Around the World requires four “Train” game wins and four “Boat” game wins.) The First Class Traveller draw will award €200 cash to four randomly selected qualifying players. To qualify for the Passenger Class draw, players must complete the Jules Verne Challenge at least once by winning any part of both the “Train” game and “Boat” game during the promotion period. The Passenger Class draw will award €50 to 4 randomly selected qualifying players. Winning players will be selected and notified by 27 February 11:59pm. To be eligible, a player must have deposited within 7 days of the promotion period and hold a valid account in good standing. We want to thank you again for your patience while we fixed the problem in our reporting system. The stats are now fully up to date and you should be able to run your reports for the end of the month as normal. Now we have said goodbye to January, we wanted to thank you for a great month! We met with many of you during the ICE / LAC Conferences and we also launched 8 new 3D slot games into www.onlinebingo.eu and www.winagames.com. February continues with some great player promotions and even more game launches. At OnlineBingo we have a 214% deposit bonus from 1st to 14% Feb, slots tournaments from the 3rd to 6th and 14th to 19th Feb and special Valentine’s Day promotions. At WinaGames we are offering a 200% sign up bonus for all players all month, as well as slots tournaments from the 3rd to 6th and 14th to 19th Feb and special Valentine’s Day promotions. For full details on all our promotions, please follow our blog where we will provide you with full promotion details ready for you to use on your site. We will also be launching new games later this month so make sure you check your inbox regularly for updates from us. Each day you spend €10 on bingo you’ll raise the temperature of your Love Meter and earn tickets to the €1400 Valentine’s Day game. Earn 60 tickets and win the €25 Cupid Bonus! Are you a hopeless romantic? Naughty but nice? Too hot to handle? Our Love Meter will reveal the truth! Each day, just play at least €10 cash or bonus on bingo to earn 3 tickets to the Valentine’s Bingo game on 14 February, playing for €1400 in cash prizes! You can also earn 1 ticket for winning any part of the Cupid’s Arrow Challenge games! If you reach the top of our Love Meter by earning the maximum 60 tickets, you will be entitled to claim a Cupid Bonus of €25 Bonus! You can track the number of tickets you’ve earned on our special Love Meter promotions page. To enter your tickets into the Valentine’s Bingo game, just return to the Lucky in Love promotions page on 14 February and click the “Enter Tickets” button no later than 9:00pm. If you claim a total of 60 tickets, you’ll also receive your €25 (250 kr) Cupid Bonus when you click the button. The big Valentine’s Bingo game plays at 9:30pm sharp in our Lucky Streak room. Additional tickets are €1 Cash each (pre-purchase available). Remember, the deadline to enter your tickets into this game is 9:00pm, 30 minutes before the game starts. Be sure to claim all your tickets and bonus by that time, or else your tickets and Cupid’s Bonus will disappear! Promotion period: 00:00am GMT 3 February through 23:59am GMT 14 February. Qualification period for free tickets ends 13 February 11:59pm GMT. Deadline to claim free tickets and Cupid Bonus (if earned) is 9:00pm GMT 14 February, after which any unclaimed tickets and Cupid Bonus will become void. The Valentines Bingo game plays: 9:30pm GMT 14 February in Lucky Streak and Money Tree (linked game). Players will be eligible to claim 3 free tickets into the Valentine’s Bingo game for each day they spend a minimum of €10 cash and/or bonus on bingo (excluding free and penny games). Players will be eligible to claim 1 free ticket for the Valentine’s Bingo game for each Cupid’s Arrow Challenge game won (any part) during the qualification period. Tickets to the Valentine’s Bingo game may be won or purchased. Tickets will be sold for €1 cash (pre-purchase available). Game prizes will be awarded as follows: 1-Line €200 Cash; 2-Line €500 Cash; Full House €700 Cash. This promotion is only open to depositing players whose accounts are in good standing and who have deposited within 7 days of the promotional period. Cupid is the Roman god of desire and love, and is the most recognised symbol of Valentine’s Day. Never without his bow and quiver of arrows, his aim is to strike true love into every heart he targets. For the next two weeks we invite you to take a shot at the Cupid’s Arrow € 5000 Challenge. We’ve prepared your own quiver of arrows and target so that you can be with the one you love this Valentine’s Day! Don’t miss these new Challenge games, Arrow and Heart, playing twice an hour in Lucky Streak and Money Tree from 6am to 1am. Win both games to complete Cupid’s Challenge and you’ll receive € 5 Bonus and the Challenge Badge! You’ll also earn entry in to the Thursday Night € 750 Tournament in Madhouse. Promotion period: 06:00am GMT 3 February through 01:00am GMT 17 February. When players complete a Challenge by winning both Challenge games they earn € 5 Bonus, a Challenge badge for their badge board, and entry to the weekly tournament held Thursdays in Madhouse at 9pm. Every subsequent time the Challenge is completed again, the player earns another € 5 Bonus. EuroAffiliates are offering all new affiliates 50% commission if they sign up in February. EuroAffiliates operates casino and bingo on the Parlay software and have just launched a suite of Sheriff Gaming 3D games into both the casino and bingo product. 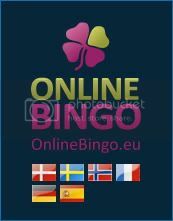 The sites are available in English (casino only), Danish, German, Spanish, Swedish, France (bingo only) and Norwegian. Affiliates already signed up cannot participate in this promotion.